When screwed to a back it makes a 12 inch barrel. 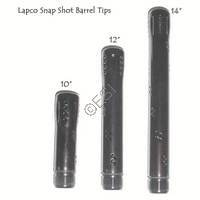 The same high quality barrel you've come to expect from LAPCO. 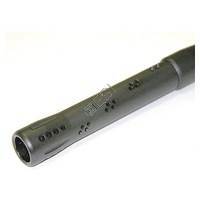 It is machined from solid 6061-T6 Aircraft Grade Aluminum billet blanks. 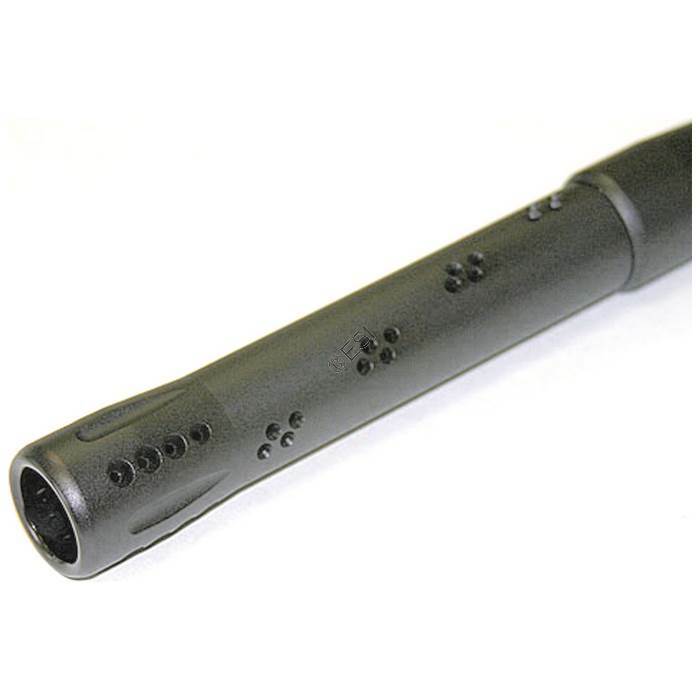 These barrels are bead blasted and black anodized resulting in a nice matte black finish. Lapco gun-drills the billets and turns them between centers for perfect straightness and concentricity. The finished barrels are stiff arbor-honed to the best finish in the industry, guaranteed. Don't be fooled by the competitor's kits. The joint between the halves of the barrel is the most critical part, because any misalignment can put a spin on the ball or worse yet cause ball breakage. The tight quality control and superior design on both halves of the Snapshot barrel allows the pieces to be mixed and matched to create the combination you need when you play. There is just no comparison with the competitor's tubing barrels.